Preparing taxes might be difficult for some, Bondora makes it easy with customizable reports. You can get everything you need for tax season from the Reports page on our site. Most investors will want to focus on the “Tax Report” and the “Income Report.” Choose the necessary date range and generate the reports. This PDF clearly lists all important balances and transactions within your account. Tax Report consists of two parts -summaries of income statement and account statement. 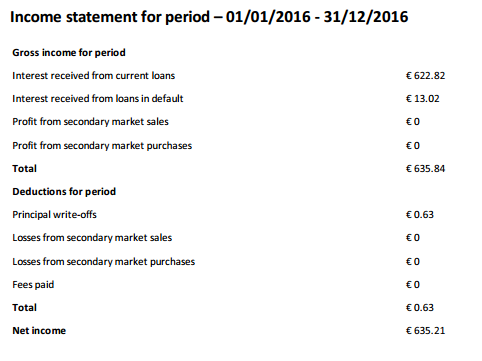 In the “Income statement” section, you will find a breakdown of the gross income for the selected period. This section also includes interest received and profits. Those who want to drive down tax liability with deductions can use this report to get totals for principal write-offs, losses and fees paid. 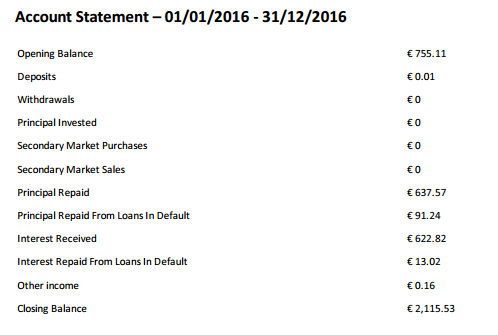 The included “Account statement” lists all critical category totals including, deposits, withdrawals, principal repaid, interest received and more. For basic users this report alone will reflect most, or all of the pertinent data to prepare a tax return. Unlike the Tax Report, this data is generated in a CSV file for easier processing. This format is particularly useful to those with varied holdings. This comprehensive view shows category totals for more specific areas like bought principal and amount paid for bought principal (secondary market transactions), write-off or debt servicing cost components, paid sales fees among other data points. Investors seeking ways to isolate specific totals within their investments should start with this report. Additionally, the CSV format is perfect for those who want to cover a longer date range, then create subtotals within one sheet. Take the stress out of tax prep and use these one-stop reports to get the full picture.